JK Martial Arts Academy is registered with the World Taekwondo Federation (WTF). The WTF is the International Federation who governs over 210 countries’ national Taekwondo governing bodies who are recognized by the NOC. The WTF is the only organization that is able to participate at official World Taekwondo Championships and the Olympic Games. We teach the body, mind and spirit training as one entity. When there is physical training without mental discipline, good character cannot be realized. Similarly, without constant training, it is impossible to achieve control of the body and unity with the mind. Therefore, we are dedicated to diligently pursuing and providing the highest standard of instruction and education of Taekwondo and its principles. The teaching curriculum at the JK Martial Arts Academy is based on two concepts: “positive mental attitude” and “high goal setting.” We feel so positive about our programs that we promise to give you and your family the most professional, well supervised and the highest quality classes available in any sport or art. Master Kim is a certified 8th Degree Black Belt in World Taekwondo Federation (WTF). He is also the youngest 8th degree WTF black belt in WA state. Master Kim was born into a family full of Taekwondo Masters. At the age of 7, Master Kim started his strict and intense training under well acknowledged Grandmaster Pan Seok Yoon, who is his uncle and the President of the Jeon Nam State Taekwondo Association currently operating 100 schools in Korea. Upon graduating college, Master Kim worked as the head coach for Kwang-Ju City Taekwondo Association and the co-director for Song-Won College’s Taekwondo Team. In 2004 Master Kim moved to America and launched his own school, JK Martial Arts Academy in Mill Creek. He also trained and taught history of Taekwondo at the Everett Community College. Master Kim has over 35 years of teaching both in Korea and in the USA. 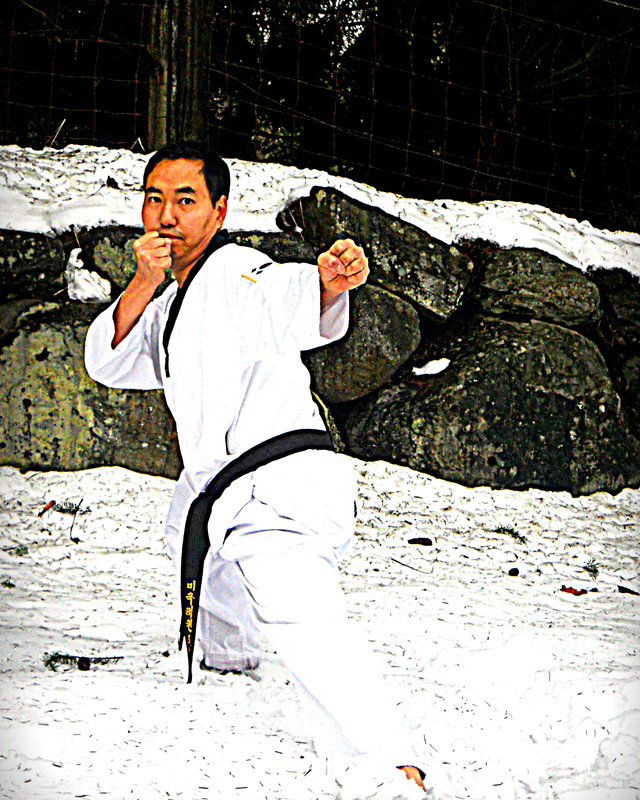 Master Kim is currently serving as the Vice President of WA State Taekwondo Association.